On the surface, being environmentally friendly and eco-conscious seems fairly straightforward. Make the best choices we can to limit the harm done to our environment and everyone can enjoy a healthy planet. If only such things were so simple. Within the topic of being eco-friendly there are many layers of complexity that create controversies under continuous debate. Such things as whether cloth or disposable diapers are better, hybrid cars really do benefit the environment or if eco-labeling actually does any good. The later topic is one that caught my eye for this week. Eco-labeling quickly caught on as not just a marketing scheme, but as a way for consumers to make an informed choice about the products they were buying. “Since the late 1980s a number of national labelling systems have been set up in different countries, to satisfy consumer demands to purchase greener products. The products so labelled meet the criteria established within the relevant system as having been manufactured by processes and procedures with low or minimal environmental impact. “Germany was the fi rst country to develop an eco-label; the Blue Angel label was created in 1977 to enable the positive ecological features of products and services to be labelled on a voluntary basis” (Ann Smith, 2006). Other examples of eco-labels include: “‘Green Seal’ (US), ‘Nordic Swan’ (Sweden), ‘Eco-mark’ (Japan)” (Royal Society of Chemistry, 1998). Quite simply the reasoning behind eco-labelling was with the simple question of how can one go “green” if they don’t know what products are green to begin with? 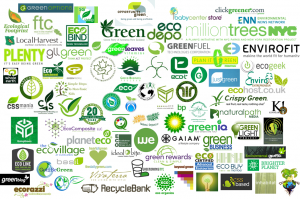 As time has gone on, more and more eco-labels have surfaced around the globe. So many labels have appeared that companies and programs have been created to both categorize and assess the current and up-and-coming labels. Ecolabel Index, as one such company, “is the largest global directory of ecolabels, currently tracking 427 ecolabels in 216 countries and 25 industry sectors” (Ecolabel Index, 2011). 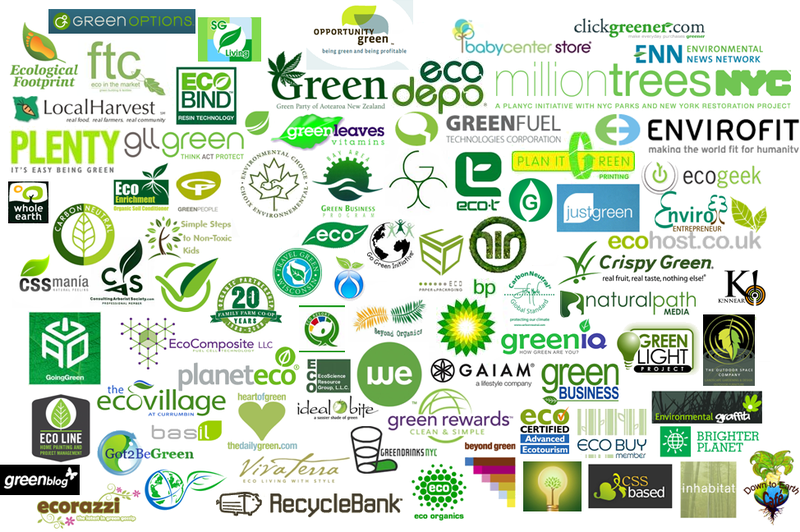 Any person can check out their website at www.ecolabelindux.com and research nearly every eco-label imaginable. Another one is Greener Choices which has a similar set-up and can be found at http://www.greenerchoices.org/eco-labels/. The issues go further than simply the labels we trust to be credible as well. The controversy delves into the realm of “free labeling” where companies hope to market their products in such a way that makes them appear green when they’re claims sometimes have nothing to do with the actual product itself. “Many commonly [use] terms or claims such as ‘environmentally-friendly,’ ‘biodegradable,’ ‘ozone-friendly’ and ‘non-toxic’ [which are] in fact meaningless. For example ‘CFC-free’ is misleading as the use of chloro-flouro-carbons has been banned under the Montreal Protocol since 1993” (Ann Smith, 2006). Furthermore, it is key to point out that “the ‘free-range’ label doesn’t necessarily mean the animals went outdoors [and] meat labeled as ‘natural’ can contain artificial ingredients” (Greener Choices, 2011). The idea of eco-labels is innocent, pure and provides hope for people coming together to make the world a better place, but when the concept is combined with money and those with a never-ending desire to create the next big marketing scheme, the great idea of going green has become tainted. Some “labels stem from voluntary ‘codes of contuct’ adopted by manufacturers. These may be well intentioned, but in the absence of independent checks for compliance there is no way of knowing if manufacturers have actually abided by the code. It is not always clear what these labels mean, how independent they are, and where the boundary lies between objective information and advertising” (Ann Smith, 2006). The bottom line is that “greenwashing” has become the general term coined to describe those companies who spend more time, money and energy in advertising and marketing of their product/service as being green than they do in actually making it green. As consumers, it is our responsibility to not only be aware of this occurring, but to do our homework on the labels that we’re told to buy into. Just because it has the stamp of approval, doesn’t mean it’s actually been approved. Essentially, we need to look for the green labels that have independent third-parties verifying that the product/service actually meets some set of environmental standards. “While it requires more effort and financial resources, independent third-party verification is critical to stakeholder scrutiny of the product and gives more value to the claim made. Consumers generally prefer eco-labelling schemes that include independent third-party certification because they provide confidence that specified criteria are adequately met, following verifiable and impartial certification procedures” (Ann Smith, 2006). Finally, even with a reputable label attached to the package of whatever is being bought, it doesn’t necessary mean that all our worries can be shelved. “Take USDA Organic as an example. When you buy USDA Organic, you buy food that has been grown without the use of synthetic pesticides and fertilizers. The seal doesn’t guarantee that animals have been allowed to feed outside; it doesn’t mean that the produce is seasonal or locally grown; and it doesn’t mean that the farm offers its laborers a decent living wage. Moreover, as earning the label requires time, resources, and money, many small farmers simply cannot afford certification. As a result, products carrying the USDA Organic seal tend to come from large industrial farms or agricultural conglomerates. Although the seal is one of the most trusted eco-labels in agriculture, for many environmentally conscious consumers, it’s woefully inadequate” (National Green Pages, 2011). Just because eco-labelling has become the next big thing in making our world a better place, it doesn’t mean our world is actually becoming a better place because of it. It still requires a little thinking on our part. A little research. A little discretion. After all, as consumers, it is our decisions that will shape the future of products and services. It is us that hold the power for change. Not some pretty green sticker slapped on the side of a package. Ann Smith, C. S. (2006). Eco-labels: a short guide for New Zealand producers. Auckland: Landcare Research. Mario F. Teisla, B. R. (2002). Can Eco-Labels Tune a Market? Evidence From Dolphin-Safe Labeling. Journal of Environmental Economics and Management , 339-359. Royal Society of Chemistry. (1998). Eco-Labelling: Life-Cycle Assessment in Action. Piccadilly.